Lawmakers use the U.S. Census 10-year head counts to determine the boundaries of local, state and U.S. Congressional voting districts representing thousands of voters who elected them to office. It’s called redistricting. But, some see the process as subject to gerrymandering because it is controlled by the state legislature, and the political party in control of the legislature has a political advantage. In Virginia, since the mid-1990s the Republican Party has controlled the redistricting process. Today the GOP owns a 66-34 majority in the House of Delegates and a slender one in the Senate 21-19. This is typical across the South. The Republican party has invested funds and rhetoric into drawing borders for voting that have sought to make White Democrats extinct in the U.S. House, Senate and state legislatures. Currently there are 32 GOP-controlled state legislatures compared to 12 for Democrats and six which are split. In Virginian, Republicans control seven of the 11 U.S. House Districts. The GOP party lost one of the seats when a federal court redrew the 4th Congressional District. A suit filed by Black voters claimed it had been racially gerrymandered to give an advantage to White Republicans. That suit allowed Democrat Donald McEachin to now represent the 4th District in the newly convened U.S. House of Representatives. Unless state Democrats mount a successful run to reduce or overcome the GOP dominance in the 2017 and further elections, their rivals will control the process in 2021 and their erosion of power will increase. But a counter campaign which has considerable bi-partisan support is gathering steam to create a state non-partisan commission to redistrict the political voting districts. 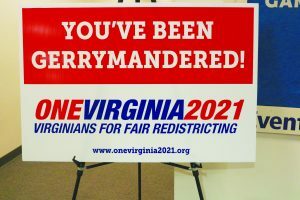 Recently, Hampton Roads Mayors Kenneth C. Alexander of Norfolk and Will Sessoms of Virginia Beach hosted a community forum entitled “Gerryrigged” at Virginia Wesleyan College with the redistricting advocacy group, OneVirginia2021, to demonstrate support for the campaign. Brian Cannon is the Executive Director of OneVirginia2021. 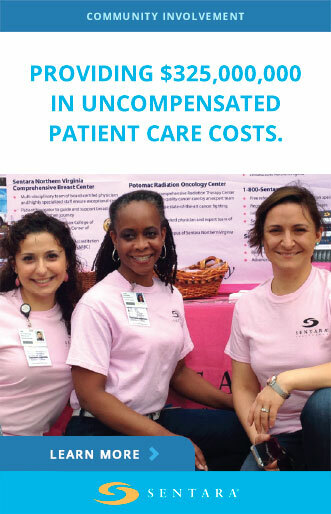 For the past two and half decades, proposals have been submitted during the Virginia General Assembly session to achieve that goal. But each time the legislation is aborted and not even given a potentially life-saving vote in either house of the legislature, Despite pressure being brought to bear by this new campaign during this legislative session, similar legislation may meet the same fate. Instead, Plum’s and other bills sponsored by his colleagues promoting this idea have died in committee. Delegate Plum hopes this will be the year that lawmakers will adopt his bill, creating a non-partisan commission, a third group that is not connected with either the Democrats or Republicans. If successful, redistricting in 2021 will not be done to ensure the incumbency of Democratic or Republican lawmakers and thus giving one party control over the legislative future of the state. “It’s had such strong support from both sides of the aisle over the years,” said Plum. According to recent polls, over 70 percent of state voters want the redistricting process reformed. When the Virginia State Legislature convened on January 11, 2017, two bills were entered calling for an independent Commission to perform the redistricting process sponsored by Democratic Delegates Plum and Rip Sullivan of McLean. As of last week, according to Plum and Democratic party operatives, the bills were still stuck in the GOP controlled House Rules Committee. A Democratic party media spokesman said that the bills will come up for a vote on January 29. Democrats and other supporters of the measure have been lobbying House Speaker William J. Howell to coax Republicans on the panel to send the bill to the floor for a vote. A letter sent to House Democratic Leader Delegate David J. Toscano noted that after the last election cycle, Americans increasingly “believe our system is ‘rigged’” in favor of the powerful. Cannon said currently four states – Arizona, California, Hawaii and Idaho – have set up non-partisan and independent commissions. Eleven others have some form of third party apparatus used to draw post census voting districts. The size of the panels vary, among those four commissions from five in Idaho to 14 in California. Cannon said none of the commissions are manned by elected officials. State officials, such as the Secretary of State or director of the Department of Elections, and others from the two respective parties who hold no political office, are chosen by the Governor and legislative leaders. Cannon said in Virginia, supporters of such a commission envision at least a five to seven-member panel. Also, if the outcome of the panel’s work is deemed unfair or flawed, there will be an option for “vetoing” it and seeking corrections via legislative or judicial revision. Delegate Plum said supporters of redistricting reform are optimistic that Republican party leaders will heed to bipartisan pressure. He said if the legislation is not adopted, then the courts may step in and force the hand of Republican party leaders. In 1981, an election year, Virginia Democrats controlled the redistricting process. They shut out Republicans and Blacks in the process until the federal court and the Department of Justice ordered them to draw districts to increase the number of Blacks (12) and Republican seats in the House. Next article Historic Princeville, N.C. Survived Hurricane; What About FEMA?